For many, a healthy diet and regular exercise are self-prescribed ways to feel better. 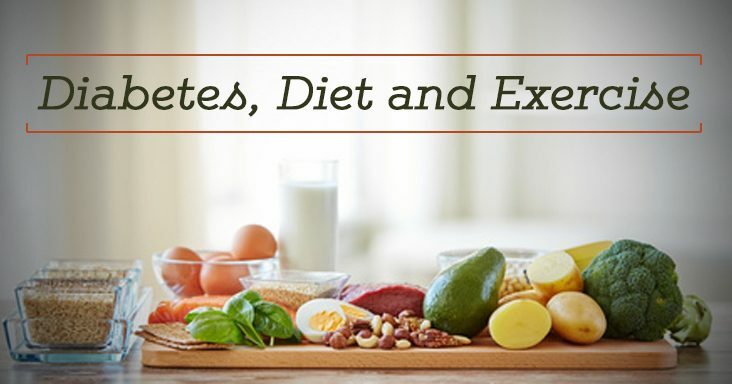 But for people with diabetes, diet and exercise are key to managing the disorder. If you have diabetes, be sure to speak to your doctor about developing a healthcare plan that balances what you eat with regular physical activity. When it comes to adding exercise to your plan, a combination of both aerobic exercise and resistance training can have the most positive effect on glucose levels. Aerobic exercises help your body use insulin better, while resistance (or strength) training makes your body more sensitive to insulin and can lower blood glucose. Examples of aerobic exercises include brisk walking, dancing, biking or hiking – anything that helps get your heart rate up. Strength training exercises can be done by lifting weights, using resistance bands, or using your own body weight to do squats, push-ups, or lunges.